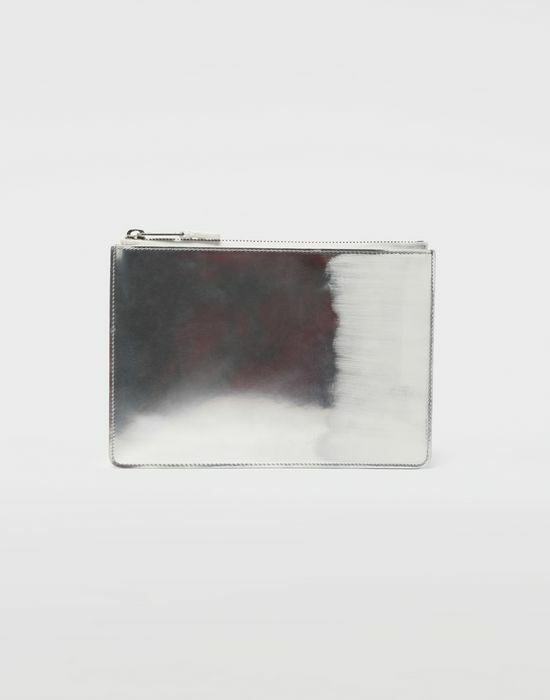 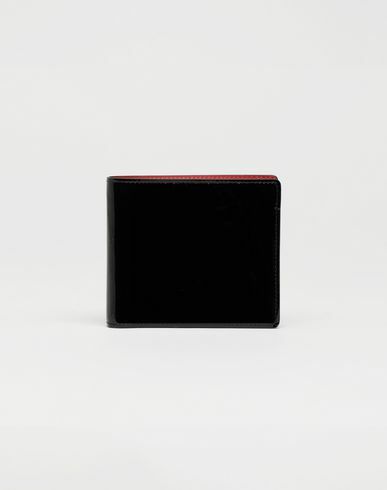 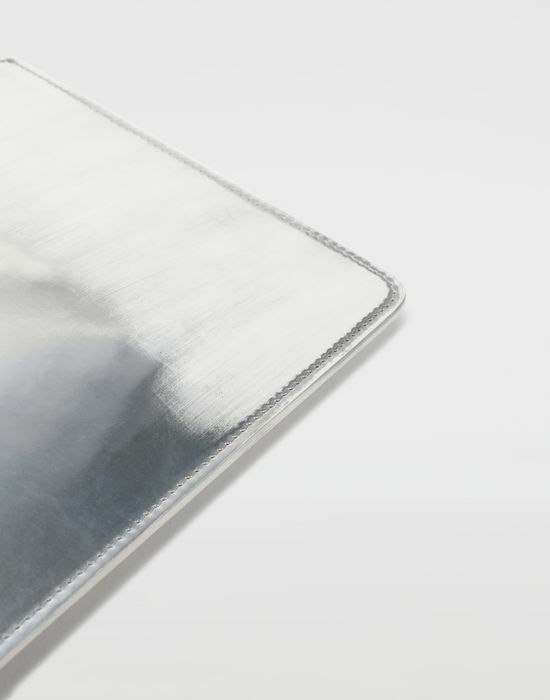 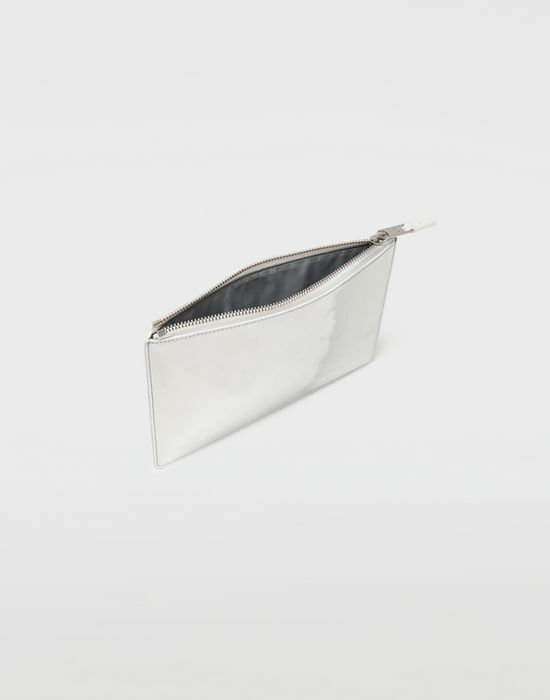 Crafted from laminated calf leather, this zipped clutch bag comes in reflective shiny silver with a brushed finishing. 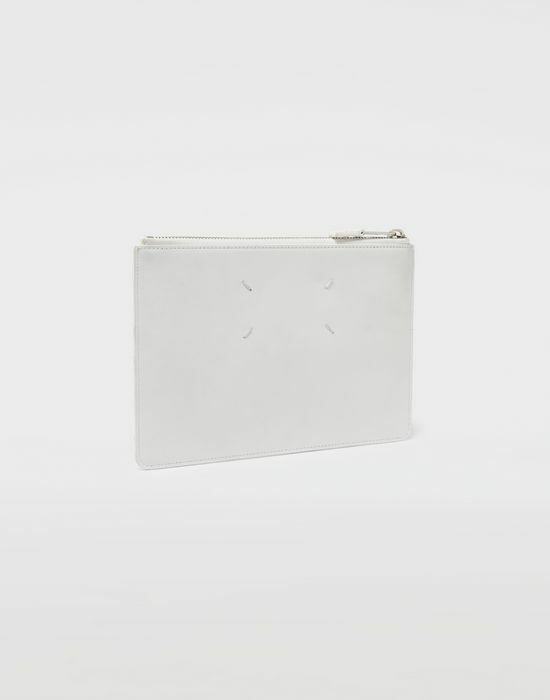 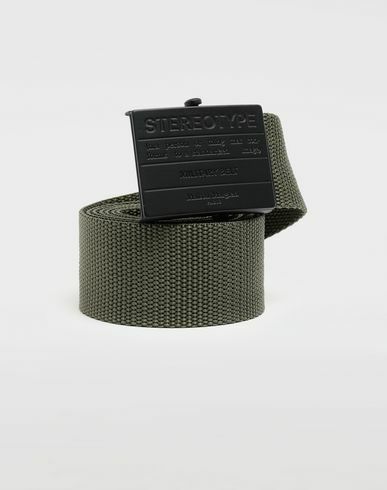 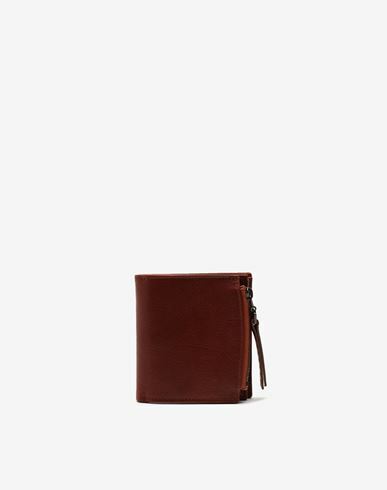 It has an upper zip pull that opens to a lined interior. 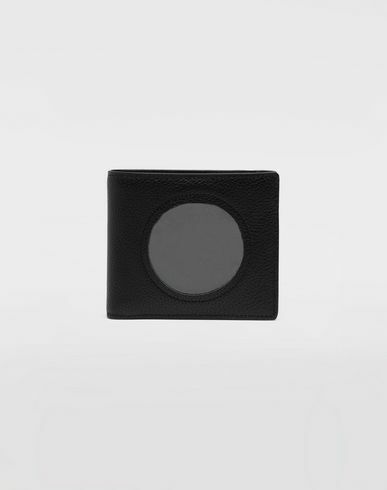 The back is marked with the Maison's iconic four white stitches.